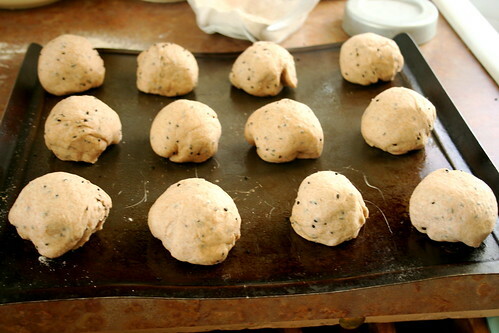 Rye isn’t the most popular flour. Maybe it’s because of the biting rye-like taste it has, but I’ve found that when mixed with other flours, the rye takes on a nice, hearty quality. 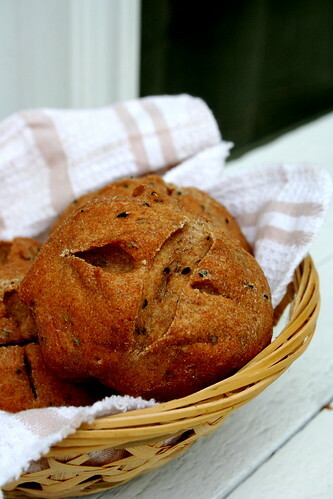 If you’re worried about rye being too strong for a varied Thanksgiving table, I’d urge you to give this recipe a try (and leave out the caraway seeds). 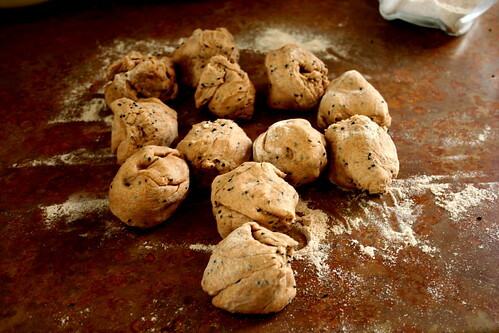 The rolls are hearty without being dense and the perfect accompaniment for any of your side or main dishes. 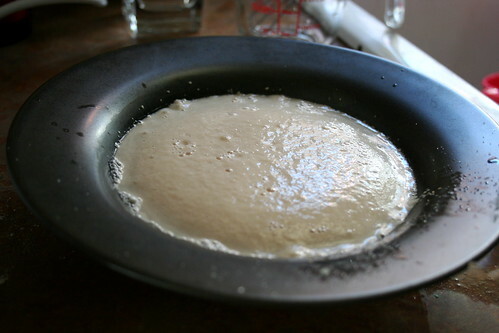 Mix the yeast and agave into the warm water. 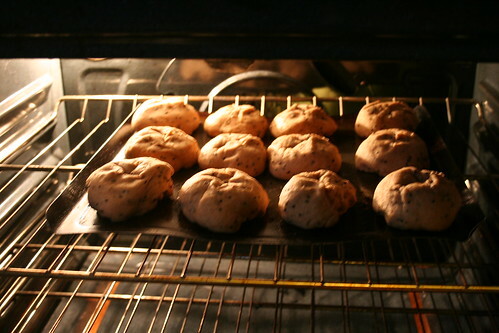 Let proof for 5-7 minutes, until fluffy. 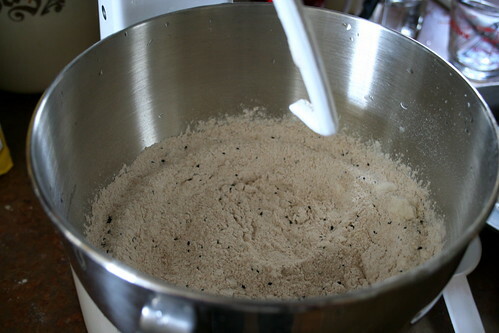 If using a stand mixer, combine the dry ingredients in the bowl. 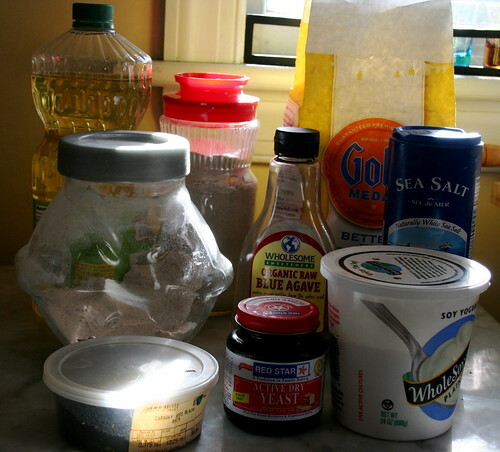 If doing this by hand, combine the dry ingredients in a large mixing bowl. 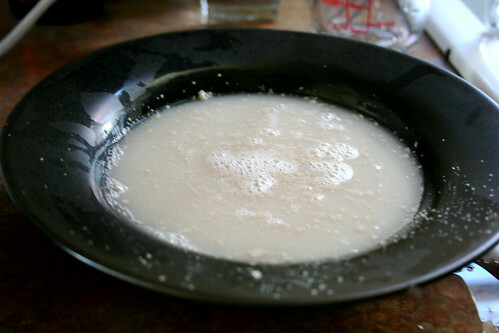 Add the proofed yeast, oil, and soy yogurt to the dry ingredients. 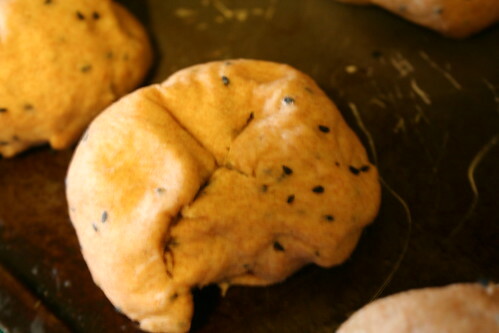 If using a stand mixer, using the dough hook, mix for 7-10 minutes until the dough forms a ball that does not stick to the sides or bottom of the bowl, but is still tacky to the touch. 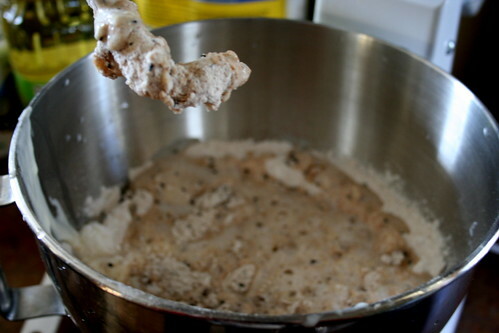 If doing this by hand, mix in the wet ingredients with a wooden spoon until well combined. 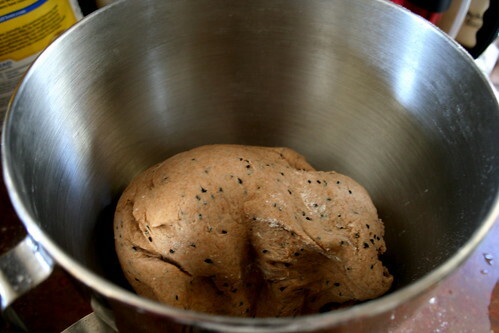 Then turn out the dough on a floured surface and knead for 15 minutes. 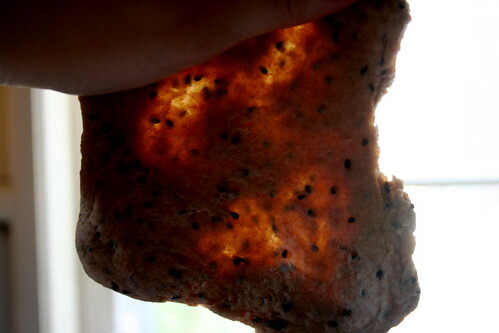 The dough is finished kneading when, if stretched and held up to the light, it has this stained glass affect. 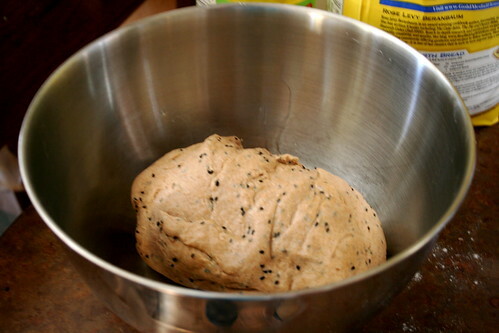 Place the dough in a pre-oiled bowl. 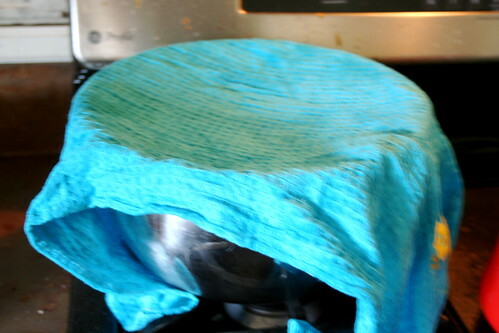 Cover with a towel and place in a warm spot for 1 hour, or until doubled in size. 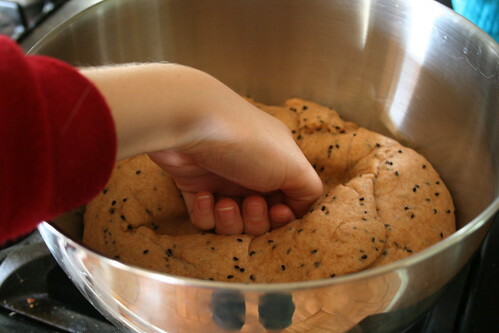 After the dough has risen, punch down. Divide into 14 equal pieces. 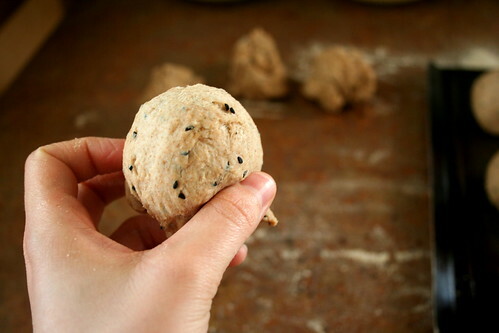 Pinch each piece into a smooth ball. 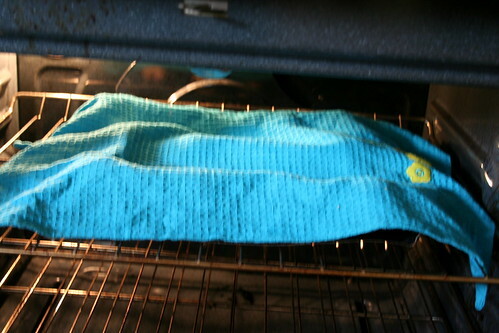 Cover with a towel and let rise for another hour. Slash an “x” on top of each roll with a knife. Those look amazing. 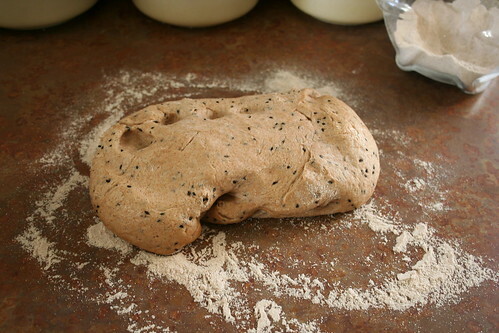 I love rye but have never baked with it before. I will put this on my bread challenge list!